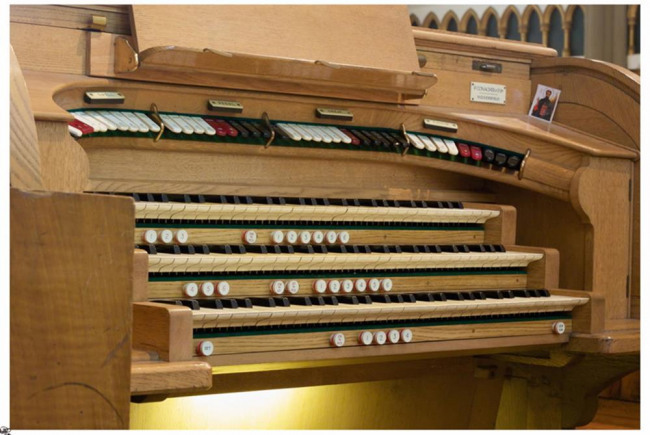 We are looking to refurbish the historic Conacher Pipe Organ of St John's Church in Failsworth, Manchester, UK. This organ has had a profound effect on church life for a very long time, and we would love that to continue for many years into the future. Unfortunately, with the organ now being over 100 years old, it is starting to break down. The leatherwork which works each note of each keyboard, is starting to perish and this will leave the organ unplayable if not resolved soon. Much hard work is being carried out to fundraise, and concerts are planned, CDs have been compiled voluntarily, and sold, and items have even been bought and sold for a small profit! Couples have been married at St John's Church Failsworth with this organ playing a huge role in their ceremony, funerals have taken place, again with the organ playing its part, and christenings, concerts and carol services have all been played out with this instrument accompanying singing. We hope that you can help! On completion, we will have an instrument fit to help future generations of organists learn the dying art of organ playing, local groups and school children will have access to a first rate instrument, weddings, funerals, sunday services, choir concerts and carol services will be able to have music played on an instrument of the highest standard. I'm a musician at St John's Church in Failsworth Manchester. I am proud to play an instrument of historical importance in these parts - the pipe organ of the church. The Parish Church of St John The Evangelist stands as the centrepiece of the Historical Failsworth Pole area. The steeple of the Church is a local landmark and is visible from many areas in and around Oldham and Manchester. The Failsworth Pole area and the Church in particular, provides Failsworth with a great deal in terms of local heritage and attracts tourism and investment to the local area. Much hard work is being carried out to attempt to preserve this local heritage including the church's organ.